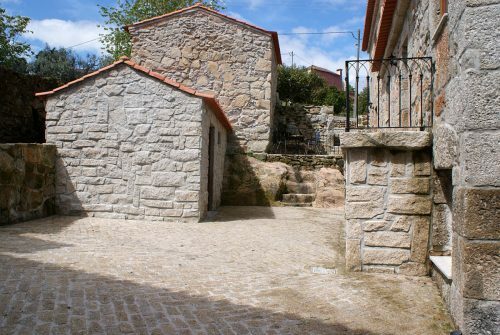 Quinta Sao Domingos, near Viseu in Central Portugal, provides four self-catering holiday apartments. Two are in the main house (Quinta) and two are in the Adega or wine house buildings which were carefully restored during 2008 – 2009. These apartments are furnished and equipped to a high standard, and are meticulously cleaned after each visit. 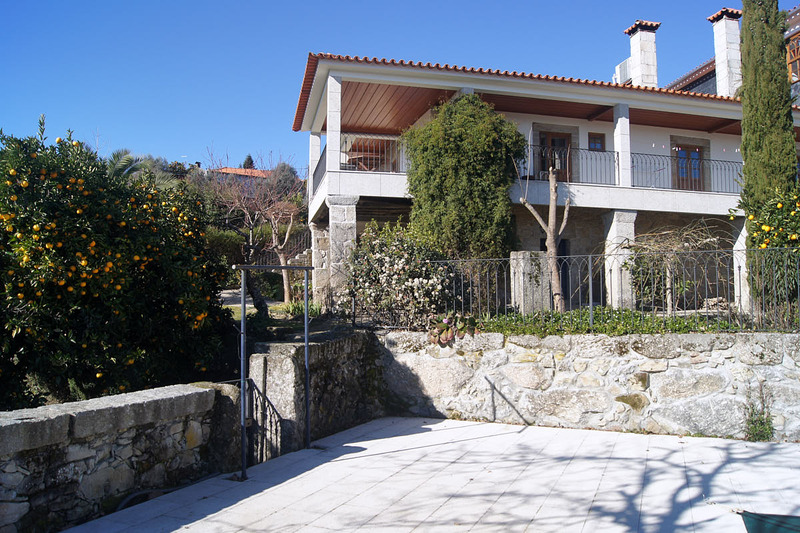 Situated in a rural country setting on the edge of the very quiet, friendly, small hill village of Guimaraes, 20 minutes drive away from the thriving, historic town of Viseu. Quinta Sao Domingos is an ideal choice for those seeking peace and relaxation in beautiful surroundings. The area is a mixture of rolling countryside and river valleys, ancient terracing, pine and scented eucalyptus forests and charming villages. Walking, bird watching, canoeing and horse-riding are all available locally and a few kilometres from Viseu is Golf de Montebelo, the only golf course built in the Beiras region. 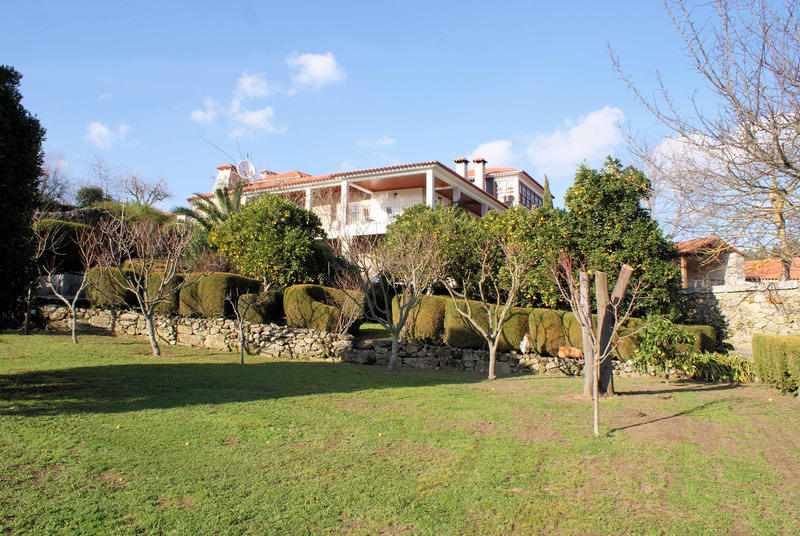 The main house, swimming pool and garden is south facing with flower-beds, vines, fruit trees and olive trees and has both sunny aspects and shared shaded patio areas. There is a built in BBQ, pool house with communal fridge and poolside shower/wc. The views from the swimming pool terrace and garden, are stunning. 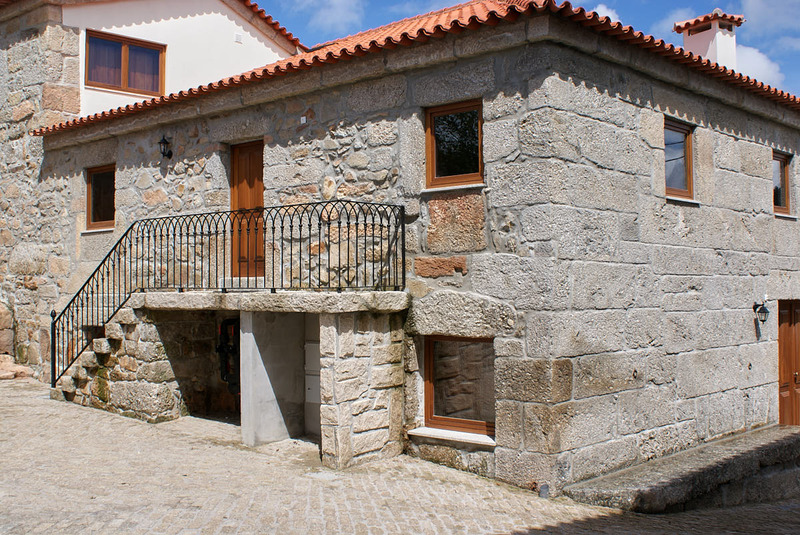 Quinta Sao Domingos is not suitable for young children as there are steep drops in and around the site, together with large areas of granite. In the main building, the Quinta, are two self contained apartments: Quinta Azul with one bedroom and Quinta Rustica with two bedrooms. 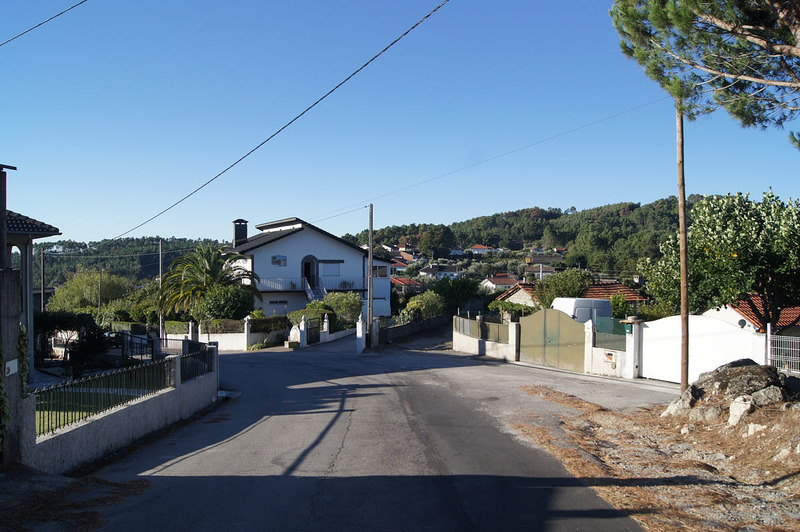 The Adega, the old winehouse, is separated from the main house and comprises Adega do Branco a one bedroom apartment and Adega do Tinto with two bedrooms. Each has its own outdoor seating area. There is a heated pool with barbecue area and extensive gardens for all guests to enjoy. Take a virtual tour of our apartments. Each apartment is comfortable, stylishly furnished and well equipped with a full cooker, fridge/freezer, microwave, dishwasher, television with Freesat channels and a DVD player. WiFi has been installed but is slow and can be unreliable. When you have selected one of the Apartments, simply check availability and send us a booking request. We will respond within 24 hours.